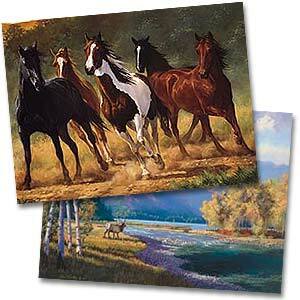 Western Greeting Cards and Gifts! Share your love for America's Western heritage with greeting cards and gifts! • And horses, at work and at play! With a wide variety of cards and gifts to choose from, you're sure to find the ideal greeting cards and gifts for holidays, birthdays, anniversaries, get well wishes, and just because!